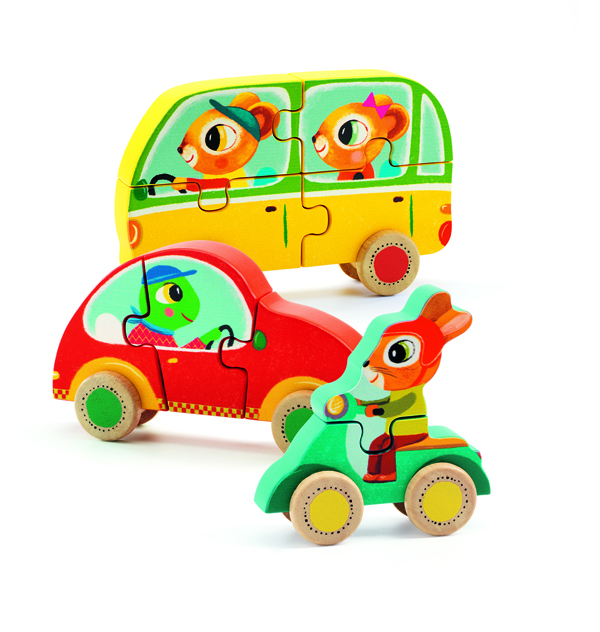 Jako & Co is a super chunky and colourful set of 3 wooden puzzles with a vehicle theme by Djeco. It has been designed for very young children, especially those who are fascinated by the movement of wheels. Once the pieces are put together they can be set on a pair of wheels and set off down the road! 16 different colours in 8 double ended crayons nicely boxed by Djeco.